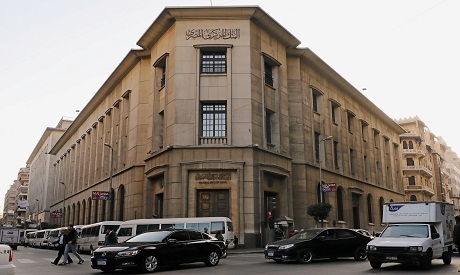 The Central Bank of Egypt said on Thursday it agreed to enter into a "new repurchase transaction" of $3.8 billion with a consortium of international banks including Citigroup, Credit Suisse AG, Deutsche Bank AG, First Abu Dhabi Bank PJSC and HSBC. ICBC Standard Bank, JPMorgan Securities, Natixis and Nomura International are also part of the consortium involved in the loan, it said in a press release on its website. "The transaction aims to achieve CBE's objective of enhancing its liability management by extending the duration of its debt structure," the statement said. "Moreover, the transaction reflects the continued strong affirmation and vote of confidence by the international market in the success of the home-grown economic reform program during the past years," the statement added. Egypt has implemented tough reforms under a $12 billion loan programme agreed in late 2016 that involved deep cuts to energy subsidies, new taxes, and a floated currency in a bid to draw back investors who fled after its 2011 uprising. Demand for local currency bonds has declined and yields have risen since currency crises in Argentina and Turkey scared foreign investors away from emerging markets. The government cancelled four consecutive local currency T-bond auctions last month after bankers and investors demanded high yields on the debt. Egypt on Sunday launched a pan-Asian roadshow to promote its international bonds in South Korea, part of a bid to bring down rising yields on its debt.